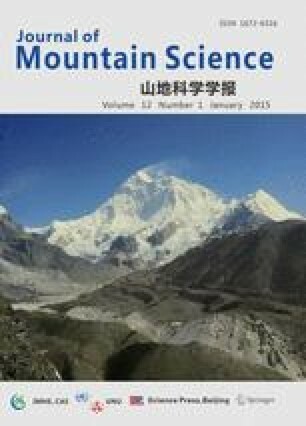 This paper synthesized the principal land denudation processes and their role in determining riverine suspended sediment yields (SSY) in two typical geographical environments of the Upper Yangtze River Basin in China and the Volga River Basin in Eastern Europe. In the Upper Yangtze River Basin, natural factors including topography, climate, lithology and tectonic activity are responsible for the spatial variation in the magnitude of denudation rates. Human disturbances have contributed to the temporal changes of soil erosion and fluvial SSY during the past decades. On one hand, land use change caused by deforestation and land reclamation has played an important role in the acceleration of sediment production from the central hilly area and lower Jinsha catchment; On the other hand, diverse soil conservation practices (e.g., reforestation, terracing) have contributed to a reduction of soil erosion and sediment production since the late 1980s. It was difficult to explicitly decouple the effect of mitigation measures in the Lower Jinsha River Basin due to the complexity associated with sediment redistribution within river channels (active channel migration and significant sedimentation). The whole basin can be subdivided into seven sub-regions according to the different proportional inputs of principal denudation processes to riverine SSY. In the Volga River Basin, anthropogenic sheet, rill and gully erosion are the predominant denudation processes in the southern region, while channel bank and bed erosion constitutes the main source of riverine suspended sediment flux in the northern part of the basin. Distribution of cultivated lands significantly determined the intensity of denudation processes. Local relief characteristics also considerably influence soil erosion rates and SSY in the southern Volga River Basin. Lithology, soil cover and climate conditions determined the spatial distribution of sheet, rill and gully erosion intensity, but they play a secondary role in SSY spatial variation.